Wedding Photo Thank You Cards enable you to send your guests a favourite photograph from your wedding day. The photo and message are printed on a large square card (15cm x 15cm). Photograph on the front with message printed on the reverse. Cards are available on white or ivory hammed card (270gsm). 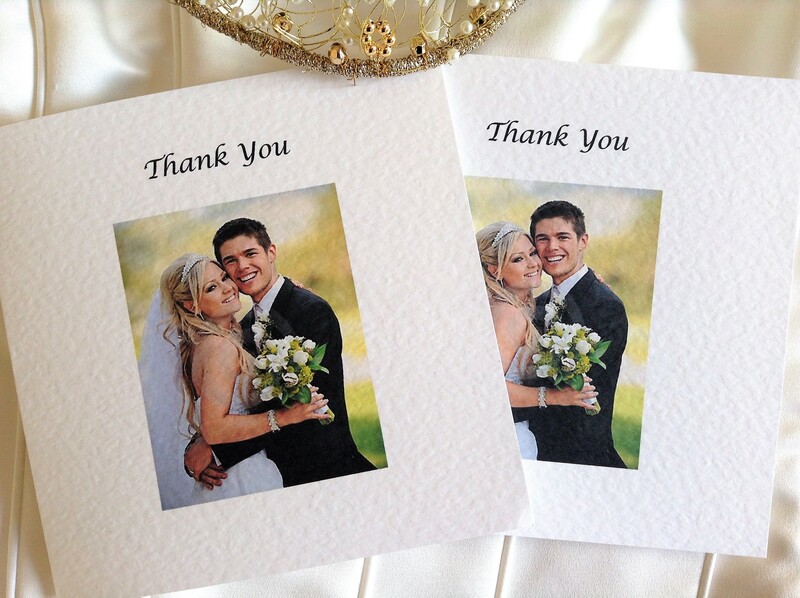 Thank you cards are supplied with a free matching hammered envelope. Free guest name printing is available on this item. We can print a poem/message or leave them blank for you to handwrite your own thank you message. Just email through your message and send a high resolution photograph in jpeg/png format. We can also print guest names if required.